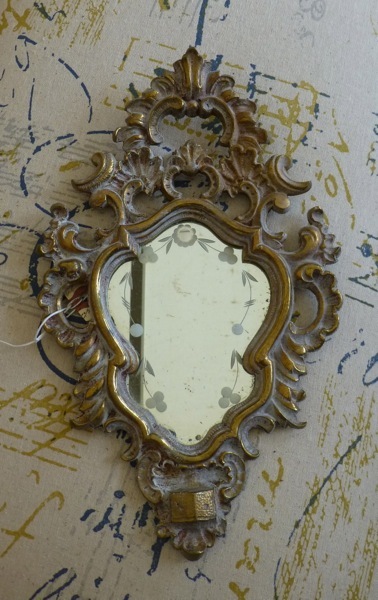 Fabulous petite Italian cast brass mirror in Rococo style with etched floral design on the mirror and faded paint on the gold detailing! 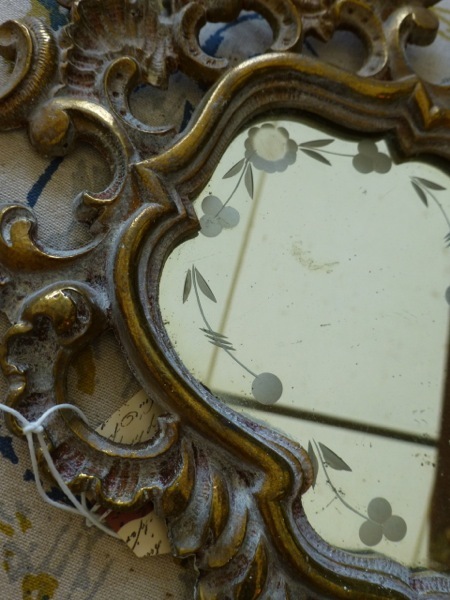 Perfectly size for a smaller space, it measures 12.5 inches tall by 8 inches wide. Click here to email this to a friend!